Celebrate the end of summer with a Watermelon Slush! Watermelon is one of my favorite summer treats. The kids and grown ups in our house all love the sweet, juicy fruit. While I’m not a big fan of artificial watermelon flavor in candies and drinks I love a Watermelon Slush made from fresh watermelon. This brightly colored sweet drink is not only delicious, watermelon has many possible health benefits so drinking it is good for you too! 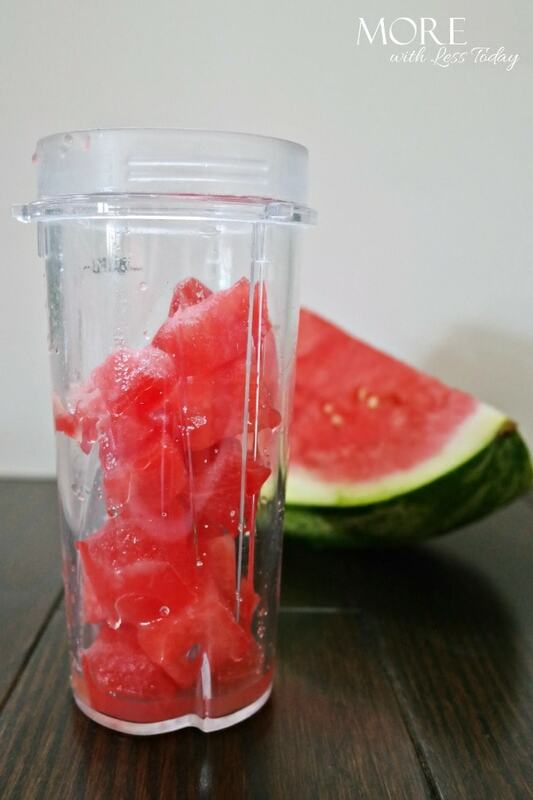 Place the watermelon, lime juice, and sugar if desired into your blender pitcher. If you’d like you can freeze the watermelon pieces prior to blending for an Iced Watermelon Slush. This drink is refreshing for morning or any time of day. 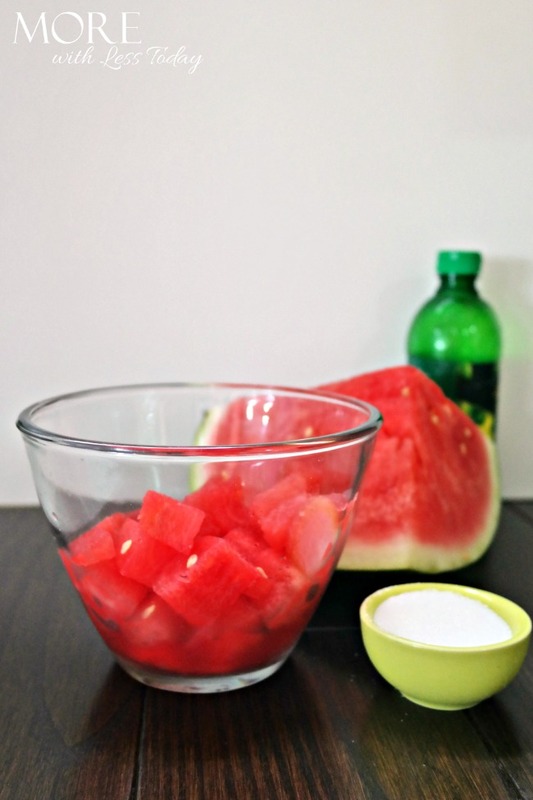 With watermelon’s health benefits it’s a great drink to satisfy a sweets craving. Watermelon is thought to help with asthma prevention, blood pressure, digestion and regularity, hydration, inflammation, muscle soreness, swelling, and skin. Watermelon has been given the rating of one of the World’s Healthiest Foods! 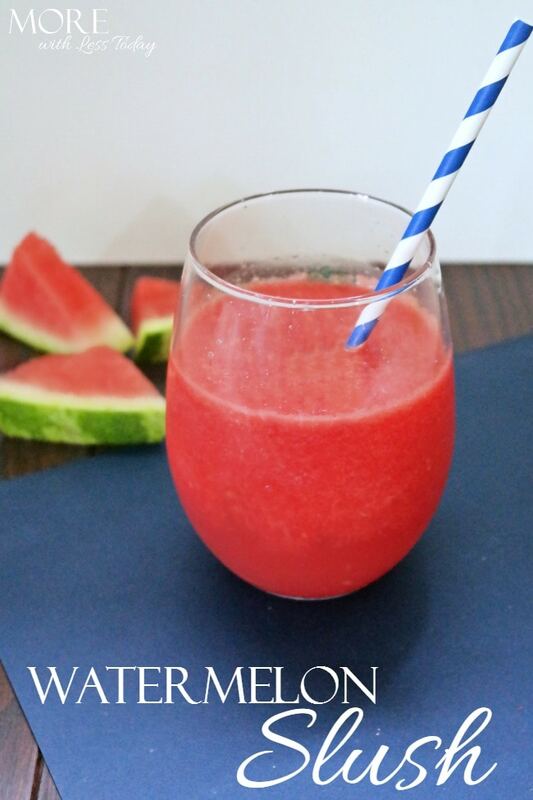 Whether it’s to satisfy a craving or for the health benefits, enjoy an easy to make delicious Watermelon Slush!